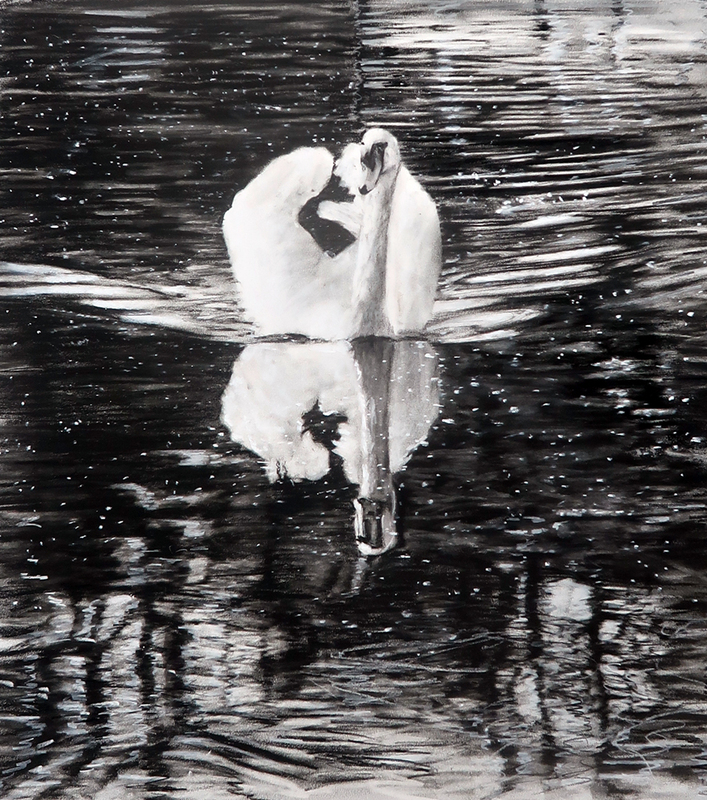 This is a 19″ x 17″ pastel painting of a swan on the Calder and Hebble Canal, near Wakefield. The work is unframed and will be well packed, it will be delivered flat between hardboard. Part of the technique involved is layering pastel on to Strathmore 400 Series Board and then rubbing areas to create the various tones. 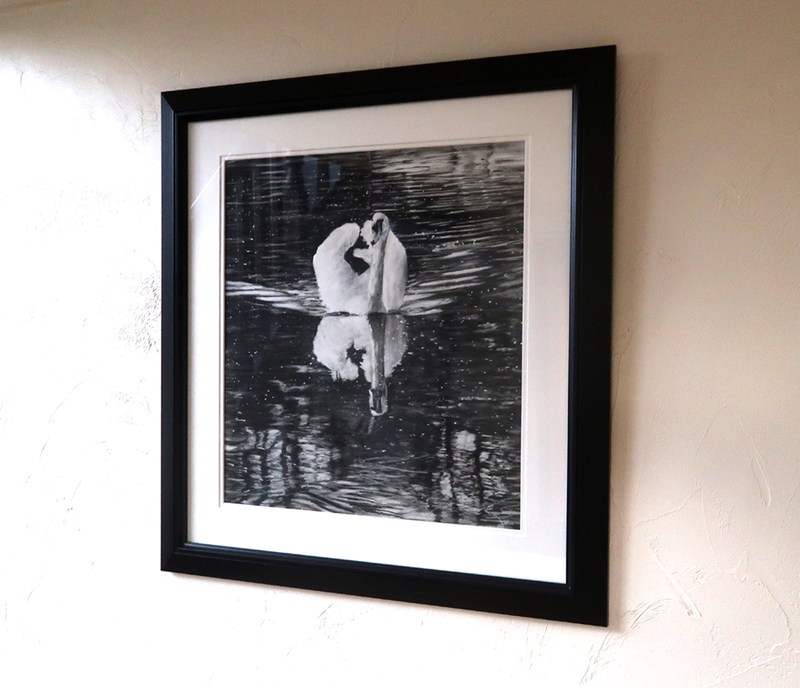 The framed image shown is for possible ideas but……….. if the painting is collected from the gallery the frame is FREE.